As the days get shorter in the Northern hemisphere, concerns tend to arise about the lack of sunlight – and possible vitamin D deficiency. For many, a go-to fix is to take supplements. The supplement, after all, has been touted as a near-miracle. Both vitamin D2 and D3 supplements are available over-the-counter without a prescription and have been linked to improving immunity, tiredness and muscle weakness, bone pain, and depression. They’ve also been said to help stave off cancer and the consequences of ageing. 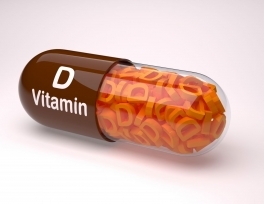 It may be little wonder that, according to research by market analysis company Mintel, a third of adults in the UK who take vitamin supplements count vitamin D among them. Despite its name, vitamin D is not a vitamin. Instead, it is a hormone that promotes the absorption of calcium in the body. The challenge is that, aside from a few foods like oily fish, vitamin D is hard to find in the average diet. But in the presence of ‘ultraviolet B’ rays, our skin can produce its own from a common cholesterol. There are two main types of D. The first is vitamin D3, which is found in animals including fish and is the kind the skin makes when exposed to sunlight. The second is vitamin D2, which comes from plant-based foods including mushrooms. Studies have found that D3 is more effective, and the conclusions of a 2012 meta-analysis argue that D3 is the preferred choice for supplementation. Today, the UK’s Public Health England (PHE) recommends every adult takes a 10-microgram supplement in autumn and winter, when the angle of the sunlight hitting the earth prevents as many UVB rays from penetrating the atmosphere. The government body also recommends that those at risk of lower vitamin D levels, including people with darker skin, take a supplement year-round. Other countries follow similar guidelines. In Canada, adults are advised to get 15 micrograms of vitamin D and have two servings of vitamin-D fortified milk or soy alternatives every day, while cow's milk and margarine must be fortified with vitamin D by law. In the US, adults also are advised to get 15 micrograms, while much of the country’s milk, breakfast cereals, margarine, yogurts and orange juice is fortified, too. Those guidelines and fortification efforts came about largely in an attempt to fight rickets in the mid-20th Century. We know that low vitamin D levels reduce the body’s levels of calcium, which leads to a decrease in bone density and can cause rickets, particularly in babies and children. We also know that low vitamin D may cause muscle weakness and fatigue. One study found that low vitamin D was high among people with fatigue and that their symptoms improved after five weeks of vitamin D supplements, while a small study from Newcastle University found that low vitamin D could cause fatigue as low levels cause mitochondria, the ‘power stations’ in every cell of the body, to be less efficient. Studies of cancer patients have found similar effects. Vitamin D may also help bolster and regulate the immune system by clearing bacteria. But vitamin D’s importance doesn’t necessarily mean people with healthy levels of vitamin D require supplements. Consider one of the most common reasons for supplementation: bone growth and maintenance. The current guidelines on how much vitamin D to take were informed by research involving the elderly population living in care homes, who don’t get as much exposure to the sun and are more prone to fractures and osteoporosis than the general population. But Tim Spector, professor of genetic epidemiology at King's College London, has argued that such studies are “probably flawed”. 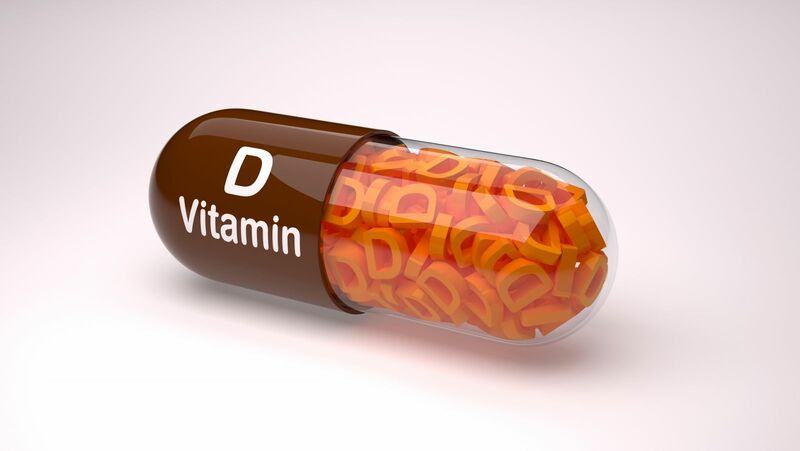 Researchers have found that higher vitamin D levels are associated with a lower risk of colorectal cancer – it plays a role in stemming the formation of new blood vessels and stimulating better communication between cells. Vitamin D also has been found to help maintain normal levels of calcium in the colon, which slows growth of non-cancerous but high-risk cells. Other studies, including of the link between vitamin D and liver cancer, breast cancer and prostate cancer, suggest there is good reason to think that low vitamin D plays a part in the spread of cancer cells. But taking supplements would then, surely, help stave off cancer – and a recent meta-analysis failed to find that supplementation reduced cancer risk. “This is likely to be a two-way street, with cancer causing vitamin D deficiency by affecting vitamin D metabolism, dietary intake and sun exposure, and vice versa via anti-proliferative effects of vitamin D. The two hypotheses are not mutually exclusive,” says Martineau.